I have many piercings and have never had an infection thanks to these care tips I've practiced over the years. Disclaimer: I am not a professional, but I have learned and tested these tips through experience. These methods have worked well for me, and to this day, every one of my lobe and cartilage piercings has healed quite nicely. 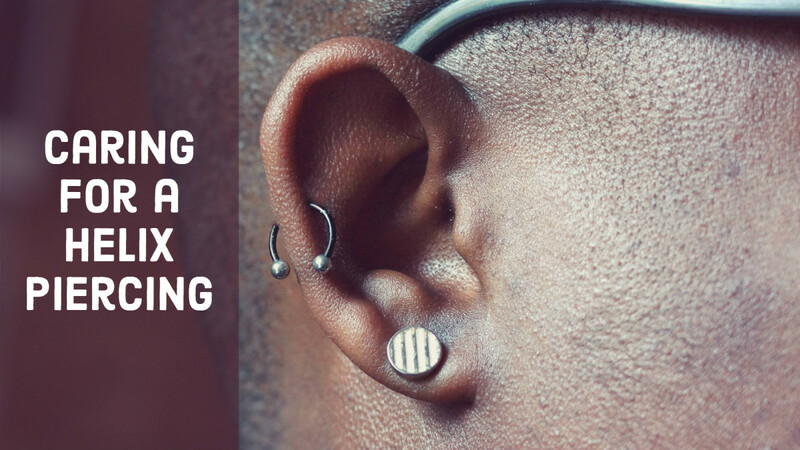 Below are the dos and don'ts for minimizing the risk of swelling, infection, and scarring when you get a new piercing. Clean newly-pierced ears regularly with antibacterial soap. Clean your ears with an antibacterial soap. I recommend Provon Medicated Lotion Soap with chloroxylenol. Make sure you wash your hands before applying the soap, and pre-rinse your ears so it's easier for the soap to lather. Do this twice a day. Soak or spray your new piercings in sea salt and warm distilled water to facilitate healing. Use a sea salt solution. Mix 1/4 teaspoon of non-iodized sea salt with 8 oz warm distilled water. Soak your piercings in the solution, or pour into a clean spray bottle and spray directly onto your piercings for speedy healing. 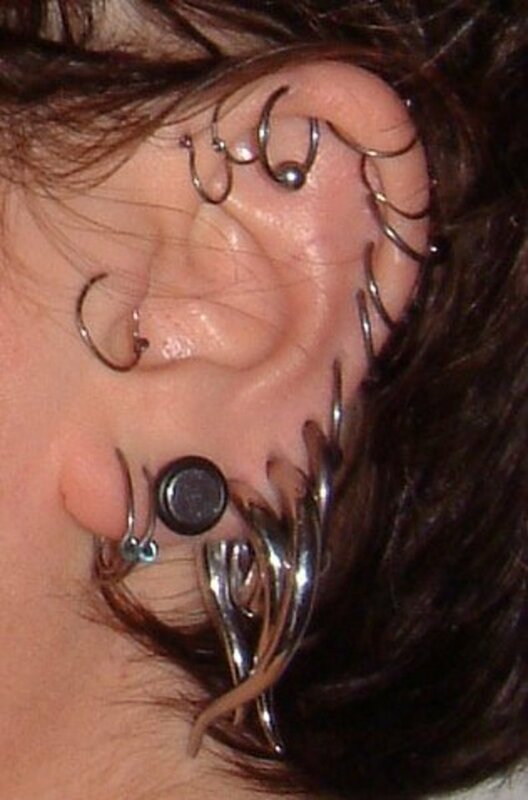 Hairspray, perfume, and over-the-ear headphones are all possible sources of bacteria that you should keep away from new piercings. 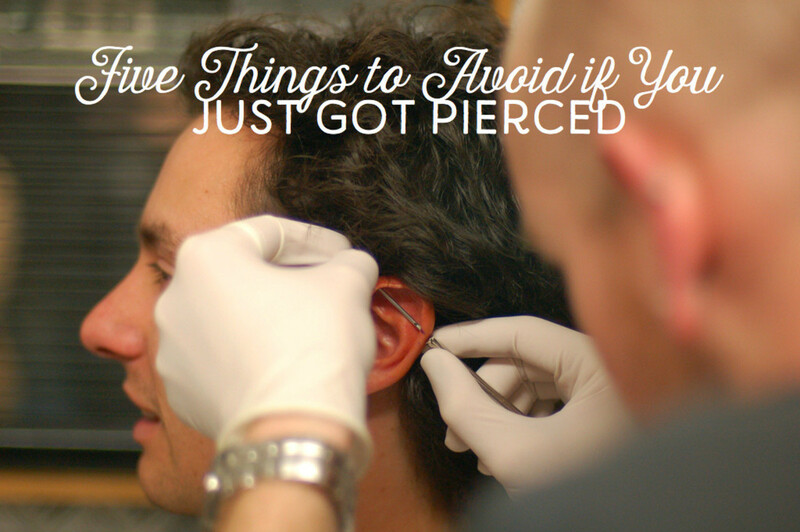 Keep hair, hairspray, and other irritants away from your piercing. Be careful when talking on the phone or wearing headphones, since you want to keep your piercing as bacteria-free as possible. 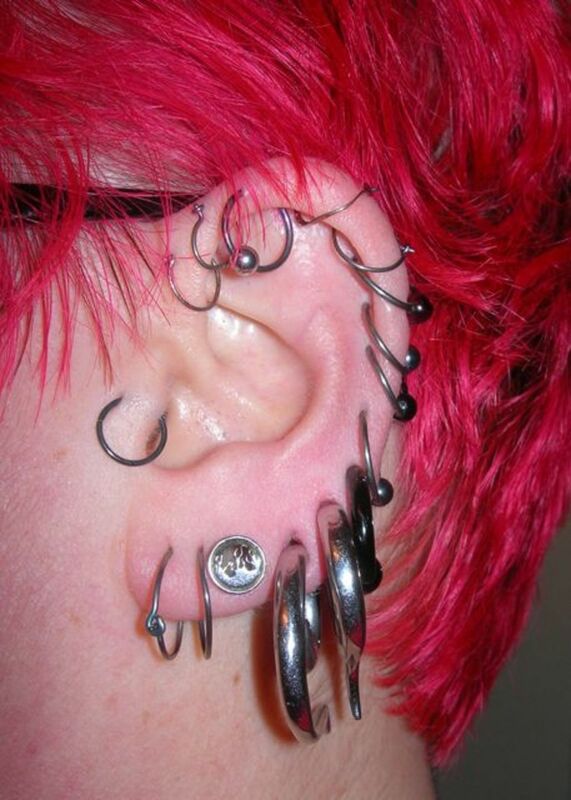 New piercings should be made of surgical stainless steel, titanium, or nickel-free 14kt gold and platinum. Make sure jewelry is made with the right material. Surgical stainless steel, titanium, and nickel-free 14kt gold and platinum are typically good. Avoid metal with traces of lead, such as sterling silver. After getting sweaty or dipping into a pool, be sure to clean your ear piercing. Clean your ears after exercise and after getting into any type of pool. If your cartilage piercing becomes infected, call a doctor. See your doctor immediately if your cartilage piercing becomes infected, as cartilage infections are more dangerous than earlobe infections. 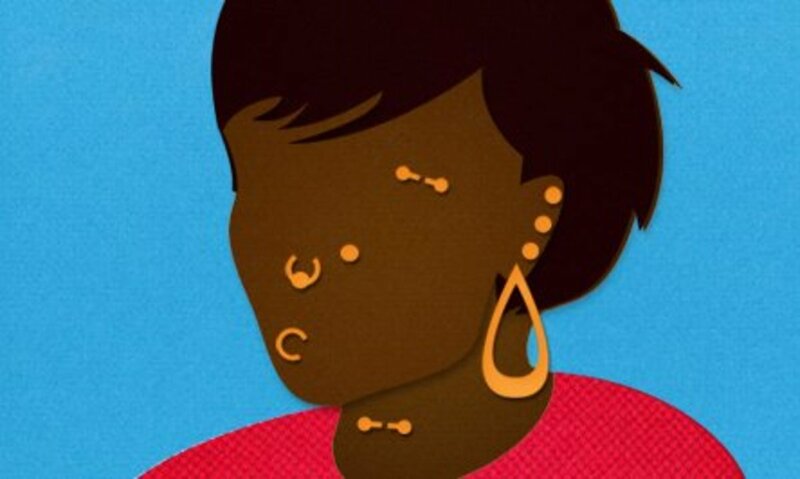 Avoid getting your ears pierced with a piercing gun. Don't get your ear pierced with a gun. By doing so, you are quickly forcing a blunt post through your flesh, and this could result in scarring. Make sure your piercer uses a very sharp, hollow needle that is discarded after use. Cartilage piercings should NEVER be pierced with a gun. Do not over-clean your new ear piercing. Don't over-clean your piercing. Again, this will irritate it. Too much of a good thing is never good. Don't clasp your earrings too tightly—leave a little bit of space. 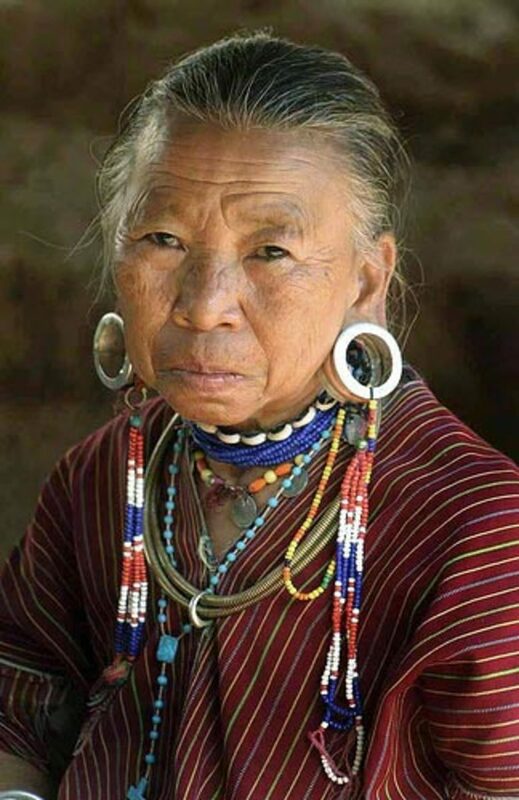 Don't clasp your earrings too tightly if you are using a standard post earring. The butterfly backing can catch hair, dirt, pus, and dried blood and serve as a breeding site for bacteria. Make sure you leave room for your piercing to breathe. An infected earlobe is painful, but do not take the piercing out—first call your doctor. Don't take out your earlobe piercing if an infection happens. Continue cleaning your ear two to three times a day with antibacterial soap, and if the painful swelling lasts for more than 24 hours after your piercing, see a doctor. 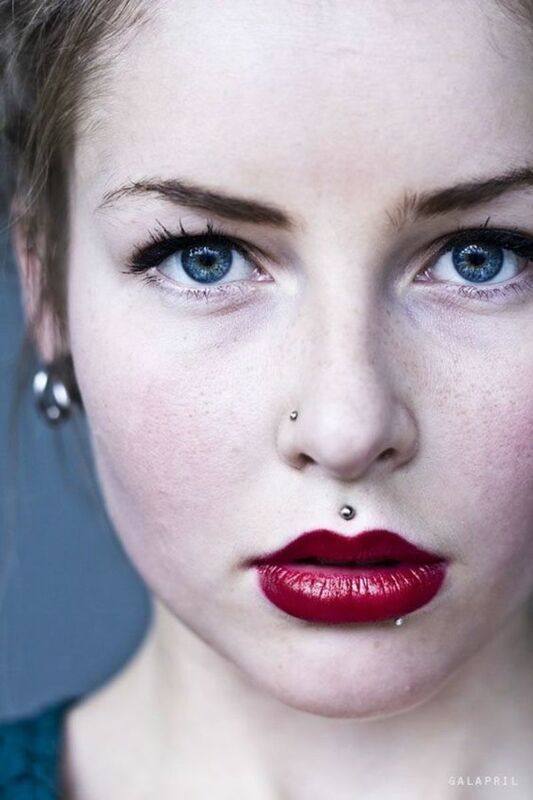 Rotating your piercing - There has been debate over whether or not people should rotate their piercings during the healing process. Rotating it can push debris into the hole, but failing to do so will result in your piercing getting "stuck." My piercer told me to do so while cleaning, but to be safe, I gave my piercing two weeks to heal before rotating it while cleaning. Types of jewelry - What I like to do is start off with a high-quality post earring, then switch to a curved barbell or a bioplast labret stud after the piercing has healed. Most piercing studios in the US use captive bead rings as the initial jewelry, which I both liked and disliked. The shape of the hoop prevented debris from getting snagged in the back, but, at least for me, it also resulted in a slower healing process. These are my personal tips, and I hope they work well for you too! What can I put in my ear because for state competition we can’t wear earrings so what can I put in the hole? I had a helix piercing done with a captive bead ring a month ago. I think it is causing problems for it to heal cuz it moves on its own and puts pressure. Would it be a good idea or bad idea to switch it to a labret? Should I just wait for it to heal and leave it alone? this is a very good and helpful website I always put my butterfly in too tight or too loose I don't know what to do when my ear closes up shall I push the earing back through or get it pierced again??? Got my ears pierced yesterday when can i remove the earrings ? I got mine pierced yesterday and it was with a gun so i am kind of frightened. I have had all my piercings done with a gun. If you go with the gun they clean it very well in front of you then they do the piercing. I have not had eny infections. it depends on how sensitive ur ears are. Sometimes it's not the tool they used but rather the metal that has caused an infection. I just got mine done with a gun and all seems to be fine so far. I think that the ear piercing gun will work fine. i just got mine done and she cleaned it very safely and there has been no infection so far. The only time a piercing got infected for me was when the gun was used. I had to take out my 3rd lob piercings in each ear. I recently got them repierced but with the needle this time and already it is going much better. And agreed, the gun can shatter the cartilage. I stick to the needle only now. Piercing guns can shatter your cartilage!!!! i got twelve, six on each ear and i had done it all with a gun. i think it depends in you though, on how u take care good care of it. Can someone help me? I took out my earring to find a surprise a nasty infection I don't know how to treat it and if I should put the earring back in. It looks like a pimple and very small what should I do?! Guns are never safe and are about to be banned. Guns are NOT discarded after use and cannot be cleaned in an autoclave. Blood borne viruses can and do get passed with guns. I have five piercings, three done with guns before I was educated on the cleaning practices, and two done by a professional piercer with needle. The pain was about the same and the time was about the same as well. the gun is totally safe, I got 6 piercing and all is well. Ok rude comments are not necessary! Guns can shatter ur cartilage and plus they are not clean. I have had my ears pierced a lot. The only reason y some of them got infected was because of the metal. All of mine have been done with a gun even my cartilage. Guns are ok as long as it isn't for cartilage. Guns used for cartilage piercings run the risk of shattering or breaking the surrounding cartilage. Guns are perfectly safe!!! I have 3 piercings that have ALL benn done with a gun and I have NEVER gotten an infection and all my earrings have turned out PERFECTLY FINE. So feel free to use a gun, there's no need listen to "jelee". She must not have very much experience if she thinks it's not ok to use a gun. Honestly, people these days, and if you donf believe me you can check a variety of websites that say it's ok, oh and don't only check one, you should know you can't believe everything on the internet. My goodness, since when is it NOT ok to use a gun, they've been used for forever. Remember to clean EVERY DAY!!! And research multiple websites and feel free to ask your piercer questions, it's perfectly fine and your piercer shouldn't mind. Well good luck with you piercings/future piercings!!! They don't use a blunt post for guns. The back of the earring is sharp and shaped like a needle. Also, guns are discarded after use.